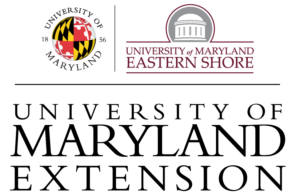 The classes will usually be on Tuesdays from 6 pm to 9 pm at the University of Maryland Extension Office (3300 N. Ridge Road, Suite #240, Ellicott City, MD 21043). Please note there is also fieldwork on some Saturdays. Be a resident of Howard County and at least 18 years old. Be proficient in basic computer skills such as Microsoft Office, internet browsing and be willing to learn new programs. Be able to serve as a community resource for environmental and watershed information. 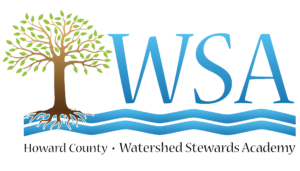 Complete the Master Watershed Steward Certification course. Be willing to maintain certification in subsequent years. Learned about storm water management principles and practices. Learned about best management practices (BMP’s) for controlling storm water in a residential setting. Learned about native plants and their role in protecting the environment. Met storm water professionals in Howard County. Gained hands-on experience in designing and installing rain water management systems. Learned to present the concept of storm water management to neighbors and small groups. Learned about the geographic information systems (GIS) application used by Howard County Watershed Stewards. Become a certified Master Watershed Steward. Application Due Date: Applicants must ensure that the completed application and two letters are postmarked or emailed no later than August 15th, 2017. An interview is required prior to acceptance into the program. The HoCoWSA Coordinator will contact you to arrange an interview shortly after receiving your application. We will accept applicants into the class until the class is full. Cost: Tuition is $250 per person, due upon acceptance into the program. Scholarships may be available.